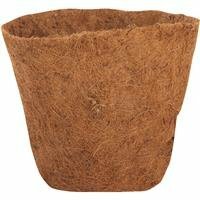 Do It Best Global Sourcing 14Inches Rnd Deep Coco Liner Rdc-14 2Pk by Do it Best Global Sourcing at Tulips Orchids. MPN: 756228. Hurry! Limited time offer. Offer valid only while supplies last. Replacement coco liner pre-formed for convenience. Long-lasting coco fibers. No. CC-12: Material: Coconut Fiber, Shape: Round, Size: 12inches. No. If you have any questions about this product by Do it Best Global Sourcing, contact us by completing and submitting the form below. If you are looking for a specif part number, please include it with your message.